The wait is nearly over, Super League is back this Friday, to help kick-off what will hopefully be an extraordinary year of rugby league. It’s hard to look past reigning champions Leeds and last year’s top three – Wigan, Warrington and St Helens – for the main prizes this season, although Hull have added well to their squad and may take the outsiders tag carried by Catalan in the past few seasons. The Dragons – with a new coach and several key players having moved on – may end up being sucked in to a battle with those outside the top five for the remaining three play-off spots, which are surely up for grabs for most if not all of the other nine clubs. 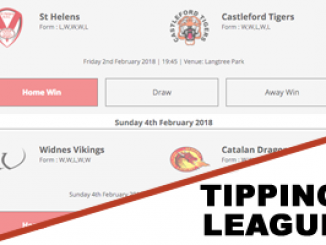 Huddersfield, Hull KR and Wakefield will lead the chase, but with Widnes tipped to improve, Castleford adding to their squad having kept hold of prized asset Rangi Chase, and London under the influence of now permanent head coach Tony Rea, the play-off places may no longer be as predictable as they once were. 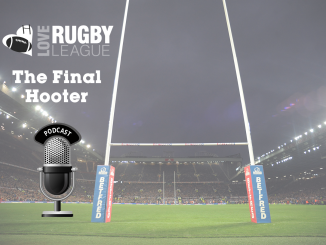 Bradford, having recovered from their financial woe, will be there or thereabouts around the top eight, while a lot depends on how quickly Salford can bounce back from their own money troubles, which still haven’t quite been resolved. All teams enter the season with at least some realistic hope of achieving a target or goal, and with the World Cup on the horizon, it promises to be an exciting season. Below is our ultimate guide to the new season. Leave us your prediction in the comments. After last season, I’m sure most Bulls fans will settle for a relatively boring season that sees them restore some pride but also challenge for a top eight place which they surely will. New coach Francis Cummins has shown a maturity and responsibility so far in his pre-season comments, no doubt a consequence of the difficulties he and the players faced in 2012.
just four signings, and they have lost some key players in the shape of Ben Jeffries, Olivier Elima and Craig Kopczak, amongst others. A lot will depend on the half-back pairing of Luke Gale and Jarrod Sammut staying fit, otherwise Cummins may find the going tough in his maiden year as a head coach. Outs: Tom Burgess (South Sydney Rabbitohs), Olivier Elima (Catalan), Kyle Briggs (Featherstone, mid-season), Jason Crookes (Hull FC), Paul Sykes (Wakefield), Callum Windley (Hunslet), Craig Kopczak (Huddersfield), Shaun Ainscough (Southcity Bulls), Cain Southernwood (Whitehaven), Liam McAvoy (Leeds), Karl Pryce (released), Phil Joseph (Widnes), Ben Jeffries, Ian Sibbit, Bryn Hargreaves (all retired). Ian Millward’s first season in charge of the Tigers was a disappointing one, as they narrowly avoided the wooden spoon. Much of the year was dominated by Rangi Chase, although it was for different reasons to the year before when he won Man of Steel. He had looked set to leave the club, but they’ve kept hold of him, and added a bit more experience around him. Michael Shenton returns from Castleford, and he will form a useful partnership with Australian winger Justin Carney, while the likes of Lee Gilmour, Keith Mason and Jake Webster all have good Super League pedigree. If Daryl Clark can find the imperious form he showed before his injury problems of last season and Chase can return to his 2011 form, Castleford will be one of a clutch of teams hoping that a Wakefield-esque momentous run at any point of the season will see them at least challenge for a top eight place. Trent Robinson was rewarded for a sterling two seasons in charge of the Dragons by landing the head coach job at NRL side Sydney Roosters, and Catalan have replaced him from within, with former Dragons and France international stand-off Laurent Frayssinous taking the reins. They have recruited well in the shape of Brent Webb, Zeb Taia and Olivier Elima, but they come on the back of the departure of some key figures who have been important components of the club establishing themselves in Super League, namely Clint Greenshields, David Ferriol and Sebastien Raguin. As always, their home form will all but guarantee them a play-off place, but it will be interesting to see how Frayssinous handles the pressure of the big job. They have also been hit with the blow that star half-back Scott Dureau will be on the sidelines indefinitely, having had surgery to remove a tumour behind the eye. The Giants are another team entering 2013 with a new head coach, although Paul Anderson did at least have the back end of last season to stamp his mark on the team. His focus has clearly been on building a giant pack, in a similar vein to the Bradford pack which dominated Super League at the start of the Millennium that Anderson was part of. In have come Stuart Fielden, Craig Kopczak, Ukuma Ta’ai and Anthony Mullally as Eorl Crabtree‘s support staff, but we musn’t forget the pacey and potent attacking threat that Huddersfield offer outwide from the likes of Leroy Cudjoe and Luke George. The return of Shaun Lunt, as a more complete player, will be like a new signing for the Giants, particularly if his showings in pre-season are anything to go by. It will be interesting to see how the Giants’ attacking pivots react to the change in style from the Nathan Brown era, particularly after their alarming slide in the second half of 2012. Hull are fancied to be the best equipped team to upset the apple cart that is the big four, and they have made some significant signings in the off-season, none more so than Gareth Ellis. 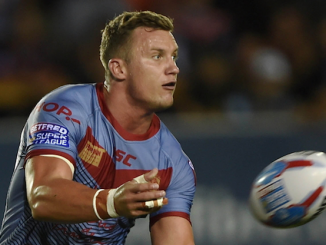 On his day, Daniel Holdsworth is one of the stand-out halves in the competition, although a lot depends on how Brett Seymour does after enduring a difficult first season in Super League. The Airlie Birds started like a house on fire last season before falling away – coach Peter Gentle will know that they have a chance come the end of the season if they can ensure consistency throughout the regular season. It’s easy to forget about Rovers as a play-off contender, as they virtually wrote off the end of last season and ended up missing out on the top eight. 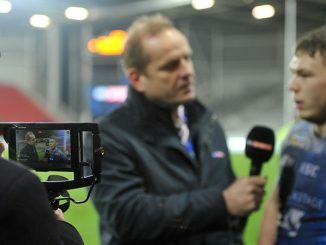 With Michael Dobson, they have one of the best players in the league, and coach Craig Sandercock now has a year of Super League under his belt and will be looking to impress suitably to earn himself a contract for 2014. Taylor, they have at least attracted some new English talent in the shape of Greg Eden, Sean Gleeson, Omari Caro and Adam Walker. 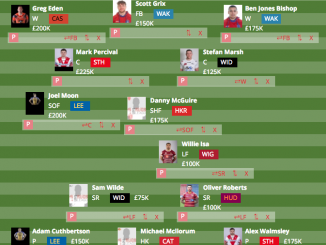 Travis Burns, once back from his ban, could turn out to be one of the best signings in Super League, but a lot will depend on how well Rovers’ clutch of young players perform in Super League week in week out. Leeds are the team to beat. They may have only finished 5th in the league, again, but they made both finals, winning the Super League Grand Final to add to their World Club Challenge victory earlier in the year. Kevin Sinfield, Danny McGuire and co are back again for another tilt at the trophy, which they have won for five of the last six years, and it would take a brave man to bet against the Rhinos in the play-offs, however stern the arguments from fans of other clubs. Expect the Rhinos to go better in the regular season this term, and maybe prioritise a Challenge Cup title which has so far evaded the grasp of this dynasty of homegrown talent. After a dismal 18 months under the stewardship of Rob Powell, the Broncos showed significant improvements under Tony Rea at the back end of last season, which resulted in Rea taking the top job on a permanent basis. While attention is often on the off-field progress of the Broncos, Rea will be hoping the team he puts on the park can have realistic ambitions of reaching the top eight, especially as he’s been able to ensure some continuity in his squad. Even if the Broncos don’t make the top eight, they’ll surely be further away from the bottom than they managed last season. It’s hard to place the Reds at the moment, with their takeover set to be completed imminently, they’ve not been able to add significantly to their squad, reflected in their current squad list below. There are gaps for a full-back, centre and two half-backs at least, which would suggest that there are players lined up to fill those positions, one likely to be Martin Gleeson, who trialled with the club over pre-season. As of now though, Salford are expected to struggle, simply due to a lack of numbers. Coach Phil Veivers will face a real challenge in getting his squad to gel and quickly. By round 10, we may see the real Salford, it’s just going to be a case of whether they’ve lost too much ground by then to mount a realistic challenge for the top eight, in what will surely be a transitional season under the new ownership. St Helens recovered from their troubled start to last season with a third placed finish, and under new coach Nathan Brown they will be expected to be big contenders for all silverware in 2013. They have added Willie Manu to their fearsome pack, and a back-three of Manu, Tony Puletua and Jon Wilkin, with Sia Soliola off the bench, certainly gets the eyes watering. Brown has shown with Huddersfield that he can take a team to the top of the league, and, should they get there, you would expect Saints to have the fitness and experience to see the job through until the end of the season. Wakefield were one of the stories of last season, as they mounted a sensational second half of the season run which built momentum week in week out, until they eventually secured the eighth and final play-off spot, before going down with a spirited performance against eventual champions Leeds. Coach Richard Agar has made permanent a few loanees from last season, and the Wildcats will be looking to keep the momentum going from last season’s run, which captured the imagination of the local public. They may find the going harder in 2013, with teams now wary of what the Wildcats can do, but if half-back pair Paul Sykes and Tim Smith can hook-up as they did in that run, they will provide stiff opposition for most teams in the division. Warrington won the Challenge Cup for the third time in four years last season, and made it to their first Super League Grand Final, only to be beaten by Leeds. 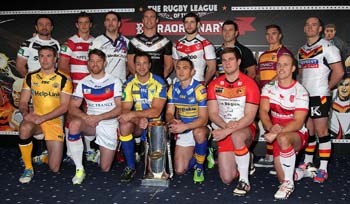 They will have learned a lot from the experience, and Tony Smith has kept the faith with his squad, adding no new players for 2013. He instead will put faith in some of the club’s exciting youngsters, with big things expected of the likes of Ben Currie and Brad Dwyer, who will get more chances in the first team in 2013. After finishing top in 2011 and then falling in the play-offs, Smith’s side now know what it takes to reach Old Trafford, and they will enter the season as one of the favourites for the title. With a few players nearing the end of their careers, it might be their best chance to pick up a Grand Final winners ring.